Fabulous Tickled Pink Friday Features . . . I’m so Inspired! 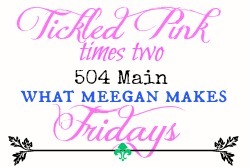 I am so happy to be participating in the Tickled Pink Times Two Fridays party again this week. Holly at 504 Main and Meegan at What Meegan Makes throw the best party, so I was honored when Holly asked me if I’d like to pick a few of my favorite features from last week. Are you kidding? I am THRILLED by the opportunity!!! But guess what? It’s harder than you’d think. There were so many great links and, since I’m the kinda gal that wants to make everyone happy (yeah, I’m working on that), it was a really tough decision. I ended up choosing three very different types of links. First off is the Faux Leather Sign shared by Amber over at Domestic Bliss Squared. Hilary and Jessica asked her to create a Fall themed sign for their Fall Festival of Guest Posters. Isn’t this great? She shares the complete tutorial too! After you check out her sign at Domestic Bliss Squared, please be sure to head over to Dimples and Pigtails to read Amber’s inspiring story. My next pick is from Karen at Redoux Interiors. She shows us the amazing patina she’s achieved on a plain wooden table, with the use of special paints. I already have the perfect picture frame that I’m going to try this on. You’ll definitely want to visit this site if you are interested in making old things new. Karen is not only amazingly talented at furniture re-dos but she is very real and very funny! Finally, since it is Fall and time for comfort foods, I chose Cathy’s (Lemon Tree Dwelling) Dark Chocolate Salted Caramel Corn. Doesn’t this look delicious? Dark chocolate, popcorn and salted caramel . . . three of my favorite treats all rolled into one. I can’t wait to try it! I hope you are as inspired as I am. Thank you Holly and Meegan for letting me share in the fun this week! 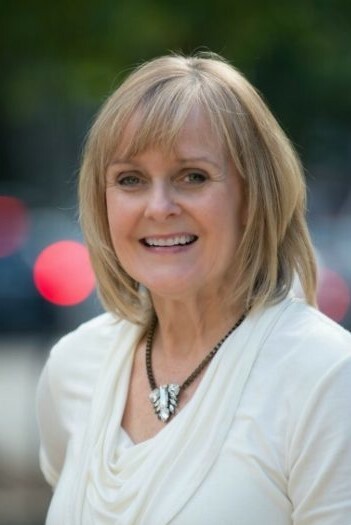 Patty,am new to your Site and Love it! just read about the Queen Bee French Flea….Good for You! and Your items and Booth were Over The Moon Gorgeous~ I Hope to do the same next Spring here in My Hometowns Craft Fair…Lovin anything French and I work alot with Vintage Paper. Patti – I love your features. Anytime you want to join us, let me know! Thanks for having my little ole button up there as blog of the week!